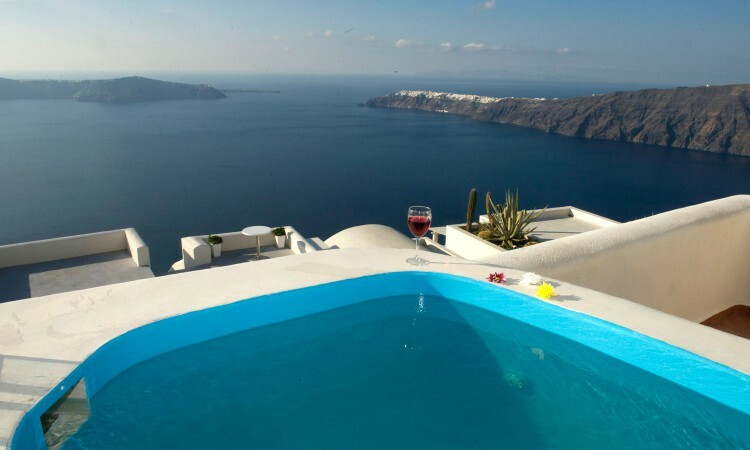 Dreaming View Suites are exceptionally perched at the edge of the cliffs in Imerovigli, a picturesque settlement on the majestic island of Santorini. This privileged location allows the most stunning views to the Aegean Sea, the volcano and the enchanting horizon, overlooking the caldera and the romantic sunset. With the traditional Cycladic architecture and with the highest quality of services provided, the suites offer a unique place of friendly accommodation and the best shelter for relaxation. Experience luxury and comfort in a wonderful atmosphere, enjoying the moments you spend with your loved ones. Allow us to serve you in the best manner and ensure that you get exactly what you have dreamt of throughout your vacation in Santorini. Dreaming View Suites are perfect for couples that wish to enjoy romance with a glass of delicious local wine in a breathtaking setting. 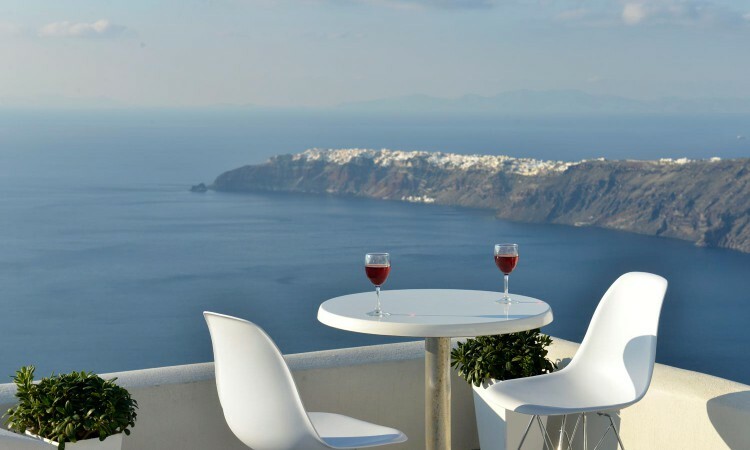 Live the magic of Santorini with the perfect, romantic view from Imerovigli!